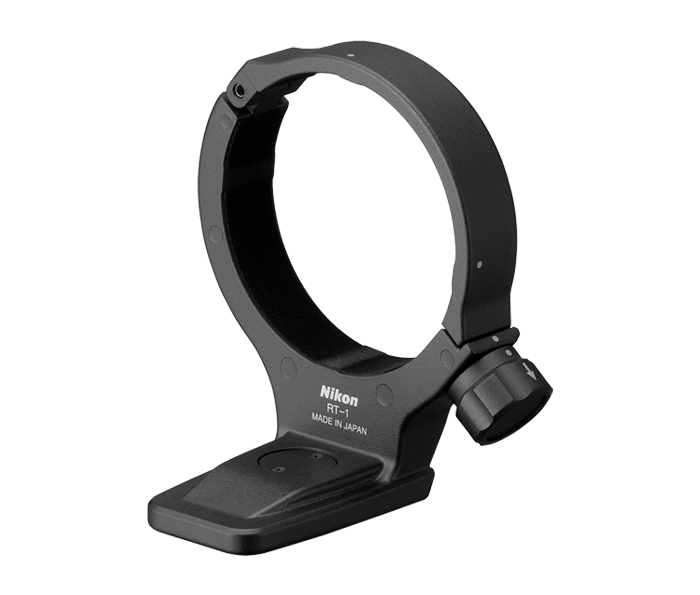 The RT-1 is an optional accessory tripod collar ring designed specifically for the AF-S NIKKOR 70-200mm f/4G ED VR and AF-S NIKKOR 300mm f/4E PF ED VR lenses. When shooting with a D-SLR and the AF-S NIKKOR 70-200mm f/4G ED VR or AF-S NIKKOR 300mm f/4E PF ED VR lenses, the RT-1 can be used to attach the lens to a tripod instead of attaching the camera's body directly to the tripod. Attaching the lens to the tripod instead of the D-SLR body can be done when additional support is desired, such as when shooting with a teleconverter.